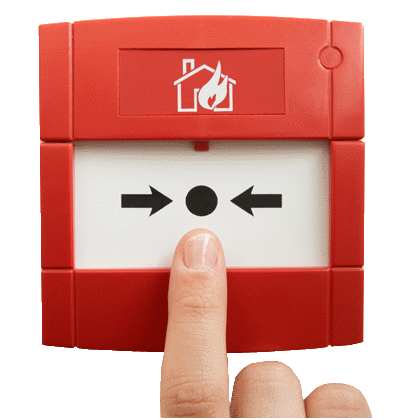 An effective Fire Detection and Alarm System plays a critical role in the protection of business assets, occupants and staff in the event of a fire, whilst minimising damage, loss and possible downtime. AEL Systems are NSI Fire accredited for BAFE SP203-1 for the design, installation, commissioning and maintenance of Fire Detection and Alarm Systems to the current BS5839 regulations. There are many types of fire detection systems, each suited to different types of buildings and environments. With our in-house design team we will ensure the correct type of system is provided to meet the needs and risks of your business and property. 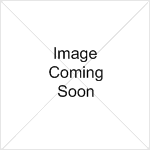 AEL Systems will provide a cost effective solution offering quality of service and peace of mind. Current Building Regulations insist all new non-domestic buildings with more than one storey provide 'refuge' areas – relatively safe places where people who cannot easily use fire escapes and evacuation lifts can call for assistance and wait until help arrives. Simple, effective two-way communication in these areas is essential, firstly to assist rescue teams in determining where assistance is required and secondly to reassure people help is on the way. 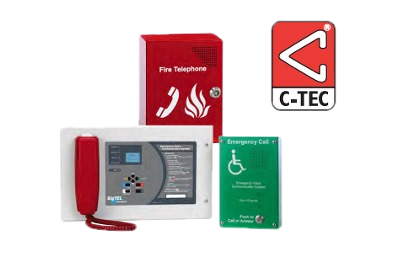 All our Emergency Voice Communication (EVC) System are sspecifically designed to meet the rising demand for fully compliant BS 5839 Part 9 disabled refuge systems. The Regulatory Reform (Fire Safety) Order 2005 (RRO) places legally enforceable requirements on organisations, where necessary, to safeguard the safety of relevant persons within the premises in the event of fire. The responsible person must "ensure that the premises and any facilities, equipment and devices provided in respect of the premises...are subject to a suitable system of maintenance and are maintained in an efficient state, in efficient working order and in good repair". Annual Service and Maintenance should be conducted by a competent person. The "Responsible person" is normally the owner, landlord or business proprietor or a member of staff delegated with responsibility for fire safety. The "competent person" is someone qualified by training and experience to undertake service and maintenance of fire extinguishers. In addition to annual Servicing it is recommended that the Responsible person carry out visual inspections of all extinguishers and fire safety equipment on a regular basis i.e. at least monthly to determine if the extinguisher has been discharged or damaged. The designated responsible person within the organisation should record the results of this visual inspection and arrange for corrective action, if necessary, by a competent person. If you employ 5 or more people it is also a legal requirement to keep a permanent Record of all servicing, maintenance and inspections for inspection by the Fire Services Inspectorate. Emergency lighting is a back–up for when the main power supply cuts out, resulting in darkness which could present a danger to the occupants of a building. Therefore emergency lights must operate automatically in all common areas and escape routes, and must be adequate for people to see clearly enough to navigate obstacles and find a way out safely. 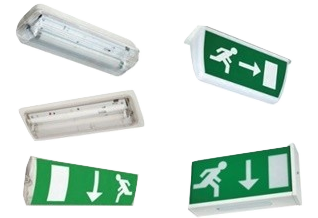 There are various regulations that apply to emergency lighting, beginning with the Building Regulations 2000, in which Approved Document B outlines fire safety requirements for new buildings and the refurbishment of existing ones. This requires that, as well as escape routes, all open areas larger than 60m2 must have emergency lights in case the normal lighting fails. Further, parts of schools which do not have natural light, or which are used outside normal hours, must have emergency lighting. In addition, The Fire Precautions (Workplace) Regulations 1997 state..."that the Emergency routes and exits requiring illumination must be provided with emergency lighting of adequate intensity in case the lighting fails.